The U.S. Department of Agriculture (USDA) raised both its corn and soybean production numbers in Wednesday's report. Jon Driedger is a senior market analyst with FarmLink Marketing Solutions. "Certainly the biggest headline number was the fact that corn yields came in really quite a bit above what everyone was expecting. 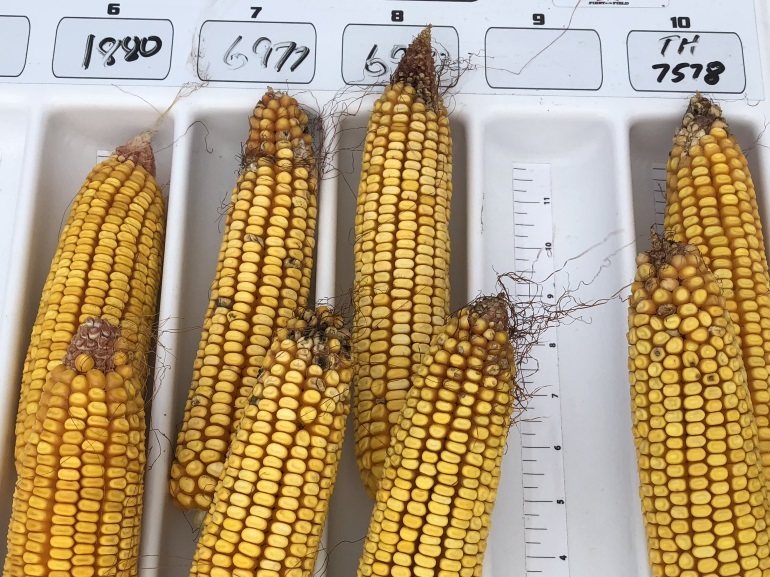 In fact, probably the general consensus is that we might have seen maybe a little bit of a reduction in the corn yield from the August report." U.S. corn production is forecast at 14.8 billion bushels, up 2 percent from August and up 2 percent from last year. Yields are expected to average a record 181.3 bushels per acre. Following the report, Chicago Board of Trade corn futures dropped 3.2 percent, their lowest in nearly two months. U.S. soybean production is forecast at a record 4.69 billion bushels, with yields expected to average a record high 52.8 bushels per acre.